Join us on a culinary journey. 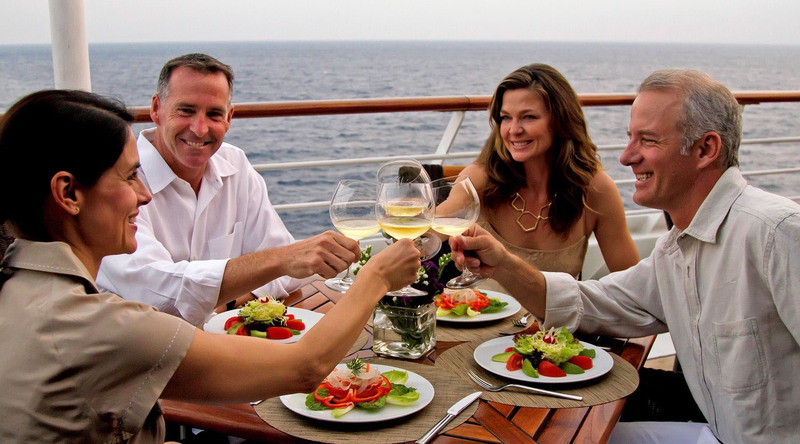 When it comes to dining with Azamara Club Cruises®, we want to take you to the top. The top floor, that is. We invite you upstairs to indulge in our specialty restaurants, Prime C and Aqualina, with these fabulous reduced-price packages. They feature everything from Chef's Table meals to five-course menus paired with the perfect wines, and hosted by a senior officer or special guest. From the lobster bisque to the crème brûlée, we want you to have a heavenly experience at a down-to-earth price. Due to the popularity of our specialty restaurants and regard for your fellow guests, a $ 15 late cancellation fee will be charged to your guest folio if a booking is not cancelled by noon on the day of your reservation.